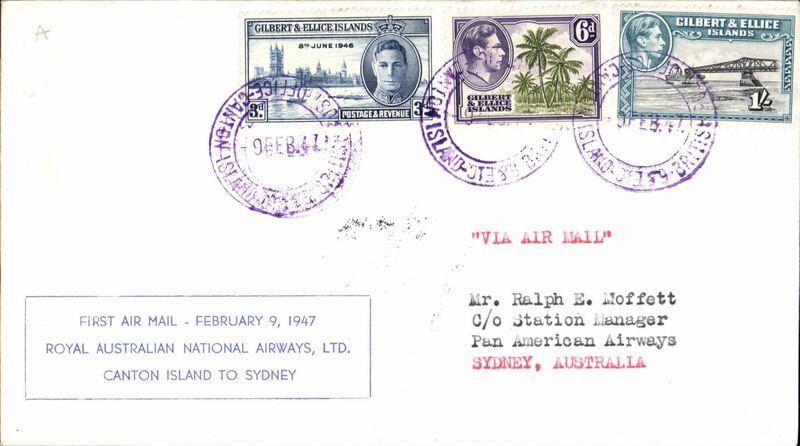 Royal Australian National Airways, F/F Canton Island to Sydney, bs 12/2, printed souvenir cover franked KGVI 1/9d. 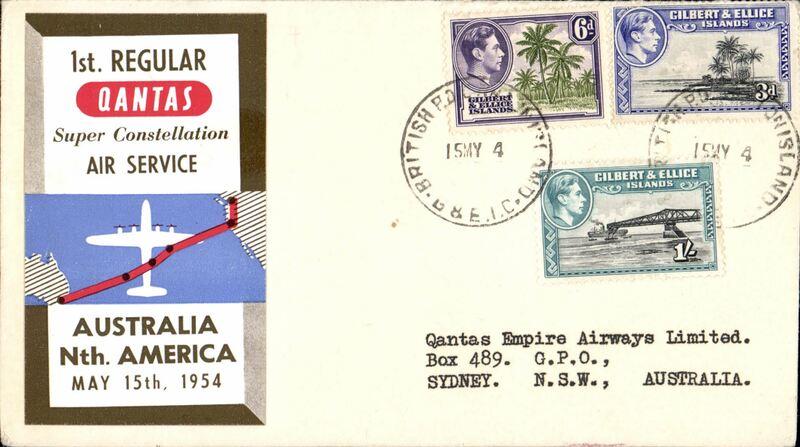 Qantas Super Constellation Service, F/F Gilbert and Ellis Islands to Sydney bs 20/5, printed souvenir cover franked KGVI 1/9d. 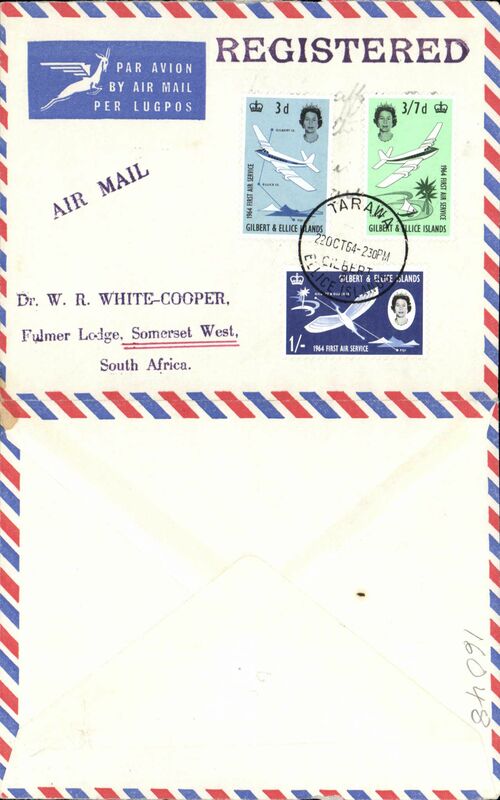 Imprint etiquette air cover to South Africa, no arrival ds, franked First Service set of 3, canc Tarawa/Gilbert&Ellis Islands cds, black "By Air Mail/Par Avion" cachet. Uncommon origin. 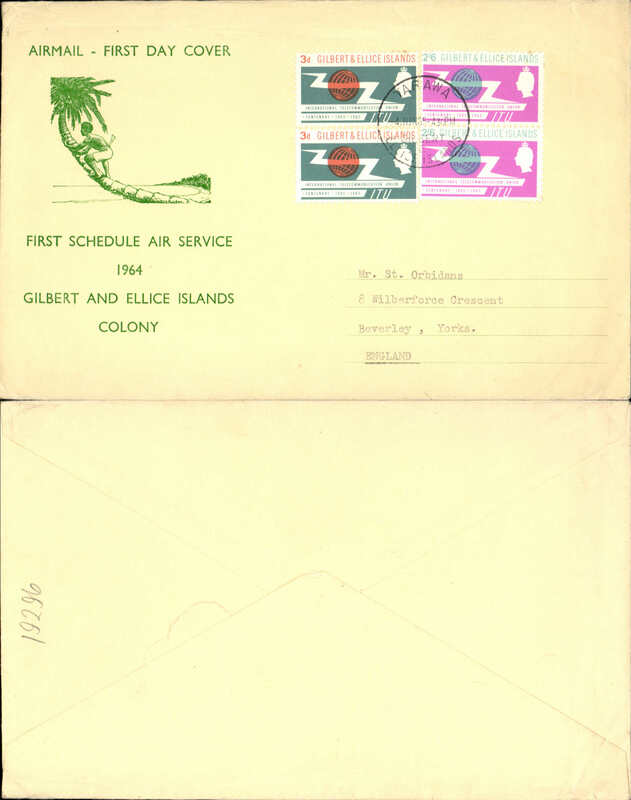 First Schedule Air Service, Gilbert & Ellice Islands to England, no arrival ds, green/cream souvenir airmail FDC, franked with set of ITU in pairs, canc Tarawa cds.